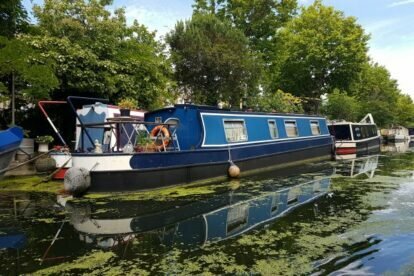 If you were dropped into the aptly-named area of Little Venice, you would in no way guess that you are actually roaming the canals of West London in zone two. The picture-perfect waterways are littered with pretty and colourful houseboats that wouldn’t look out of place in Amsterdam or Venice itself, and the abundance of greenery gives the area a bucolic, out-of-the-city feel. Gander the canals by foot and take your time absorbing the scenery, or if you have some time to spare, I would heartily recommend boarding a canal tour boat to navigate you around the water. I took the London Water Bus tour which voyaged through Little Venice and Regents Canal, eventually disembarking in the uber-cool punk district of Camden. Although it is a group tour, the journey only takes 45 minutes and it is relaxed and informative; you will even learn lots of fascinating facts about the canals from your guide. Despite being a born and bred Londoner, embarrassingly I knew none of them! If you decide to take this tour, it combines perfectly to spend an afternoon exploring the famous markets and pubs of North London’s Camden.